ModelFoundry is a powerful new way to describe processes, concepts and systems. 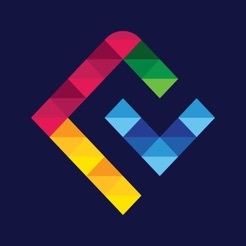 Designed from the ground up for mobile users, we combined our expertise in modeling standards with best practices in today’s software to produce a solution that is versatile, robustly designed and user-friendly. Using the Object Management Group's Business Process Model & Notation (BPMN) language*, you can create precise processes models that describe a sequence of tasks, events and decisions, Collaborations that exchange messages and data, Messages and signals that are sent between activities. 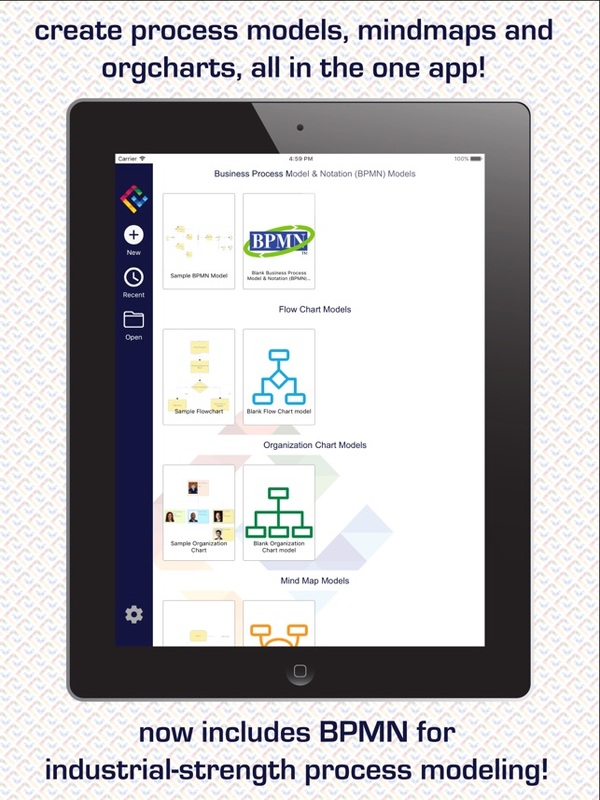 The ability to share BPMN models between compatible editors and simulators makes ModelFoundry a handy mobile complement to your organization’s existing BPM solution. 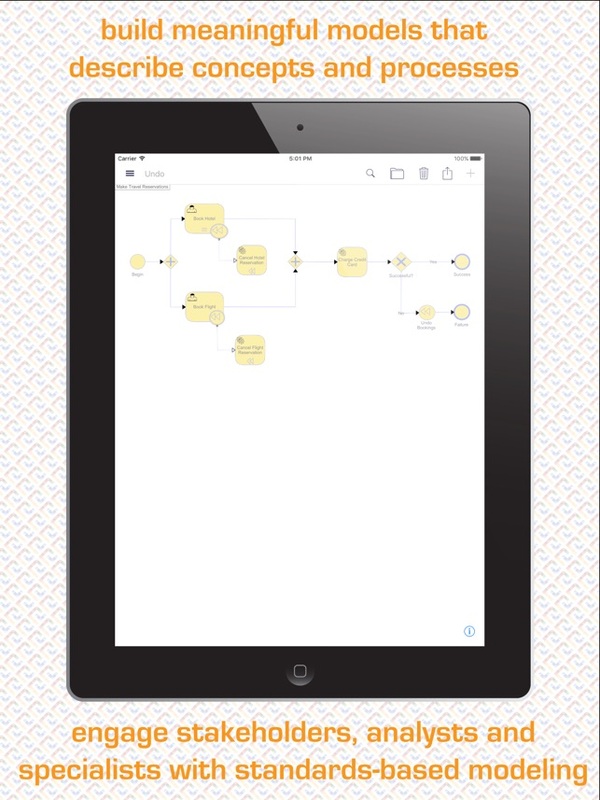 Preview our BPMN template models for free! Make a one-time In-App Purchase to create, save and share any BPMN model between compatible tools. 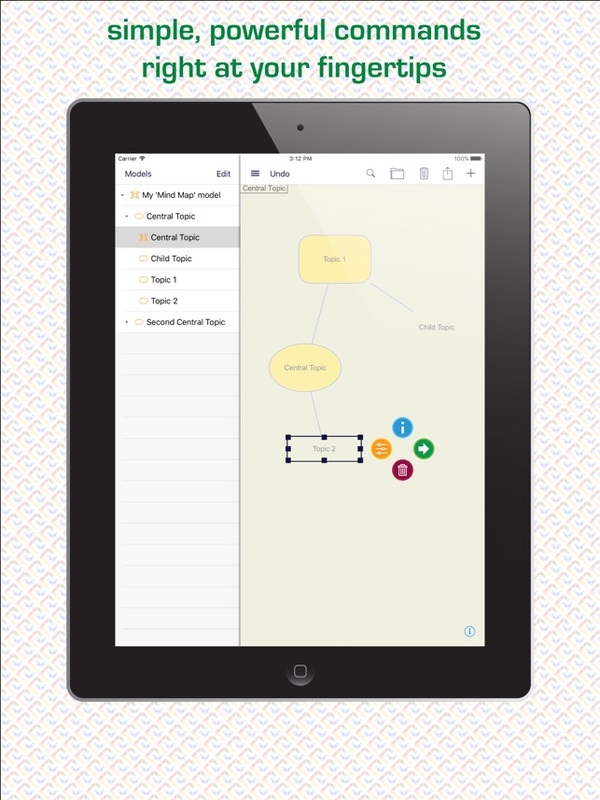 Create flowcharts that describe business workflows, industrial processes and data processing algorithms. 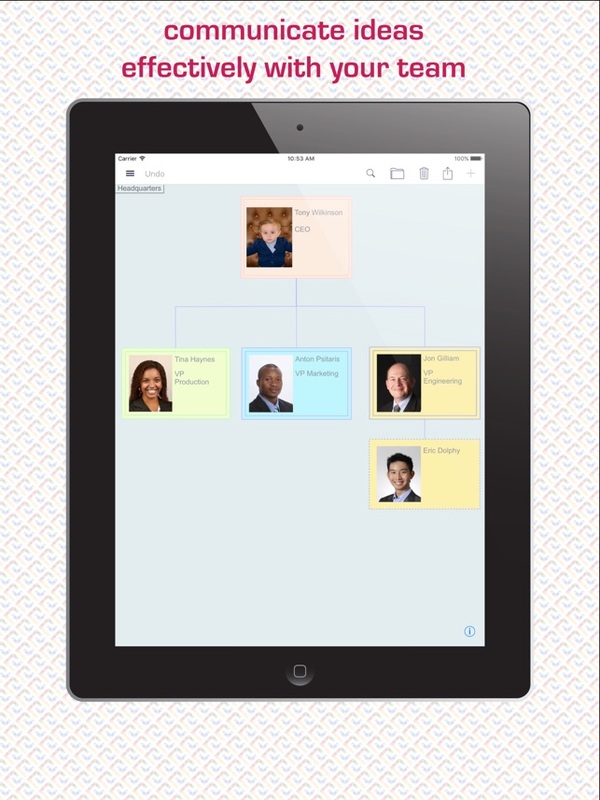 Create elaborate organization charts with detailed department structures, reporting lines and cross-functional teams. Create mindmaps that turn bright ideas into meaningful, structured concepts that are ready for action. • Set a custom background to your diagram. Use it to reproduce hand drawn models. For helpful hints and tips watch our ModelMinute videos on the ModelFoundry YouTube Channel. For more information and our blog, visit our website! If you have any feedback or questions, we'd love to hear from you! ModelFoundry offers free tech support: you can reach us by email at feedback@modelfoundry.com, or on twitter @modelfoundry. If you can draw it, you can model it easily. Thanks for choosing ModelFoundry! Hello modelers, we're back for 2017! This build contains various bug fixes and minor tweaks to our BPMN support to improve its compatibility with other industry-leading BPMN tools. Stay tuned for more exciting updates and features every couple weeks. Don't forget if you're on the fence about purchasing the BPMN IAP, you can always preview our template models. 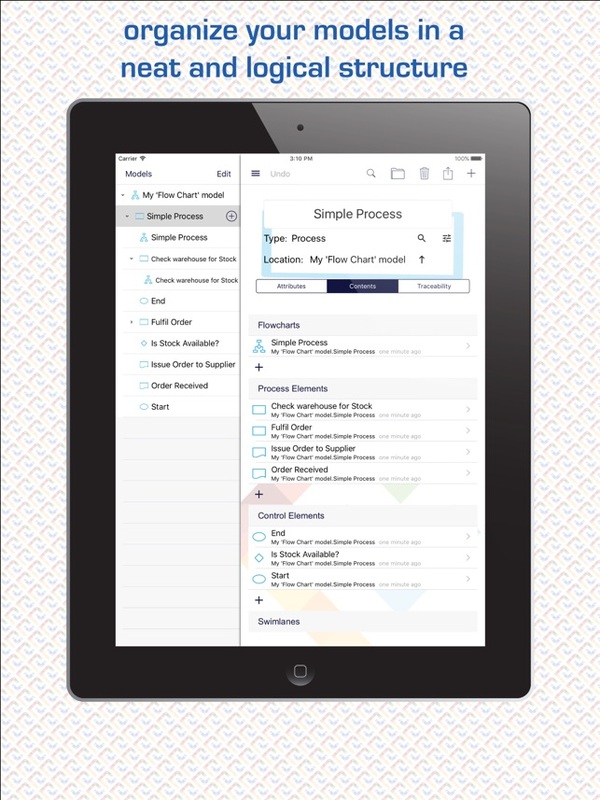 Then, when you’re satisfied, make the once-off In-App purchase to create, save and share all BPMN models! Enjoy using ModelFoundry? We'd be thrilled if you would leave us a review in the App Store! There is nothing intuitive about this app. Obviously assumes prior knowledge of another package. Definitely not ready for prime time! I could not get any farther than a second or third object and the app would crash and burn. Hello ... How about testing the app before you put it up on the App Store.